4000 international guests experienced a really cohesive atmosphere thanks to the very unique venue coupled with a multi-sensory event which brought a real WOW factor to the party. Milan, 8th April 2019 – The International Bar Association (IBA) is the world’s leading international organisation of legal practitioners, bar associations and law societies. As the Association shapes the future of the legal profession, AIM Group International, contracted by the Conference Organiser JudyLane ICS, was honoured to design a unique experience for the Welcome Party of the IBA2018 Annual Conference held in Rome. A new Impact Story presents the ingredients of this successful event which has just received the First Prize at Eventex Awards in the Gala category. The Welcome Dinner is seen by IBA as a special event to mark the beginning of several days intense work and to create the special atmosphere of international collaboration. As a networking event it has to surprise participants and be memorable, not an easy task as attendees are used to previous prestigious IBA events. · The guests were welcomed at the front terrace by dancers in light infused crinolines three-metres-tall. · Live performances were created to mark the Four Seasons by dancers with floral costumes under a suspended ceiling of 15,000 fresh wheat stalks and flowers. · The fairy Signs of the Zodiac Garden were staged along a path to the main Pavilion. Each zodiac sign was represented by a flower by enchanting ladies decorated with clothes resembling Botticelli’s Venus. · A dedicated show called “Il Fin, la Meraviglia” was performed at the nymphaeum and provided a rare opportunity to enjoy a breath-taking masterpiece, with aerial dancers and pyrotechnics, based on the show staged in 1589 for the wedding of Ferdinando de’ Medici. · During the dinner, guests watched three spectacular firework displays from the privileged location of the villa’s terrace, overlooking the valley and the dome of St. Peter’s in the Vatican. This was the icing on the cake of an exquisite event giving it an undeniable WOW factor! Surprise and delight were emotions commonly used by guests to describe the evening. 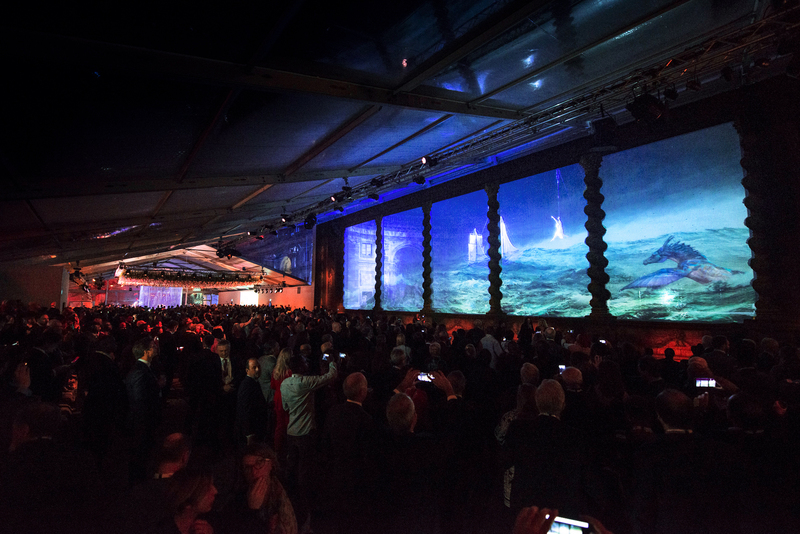 Spirits were high during the evening and most guests not only filmed what they were watching but also spontaneously shared it on social media, posting their impressions all through the night: Twitter was the most used social platform by the attendees in real time and the hashtag #IBARome exploded with hundreds of engagements.